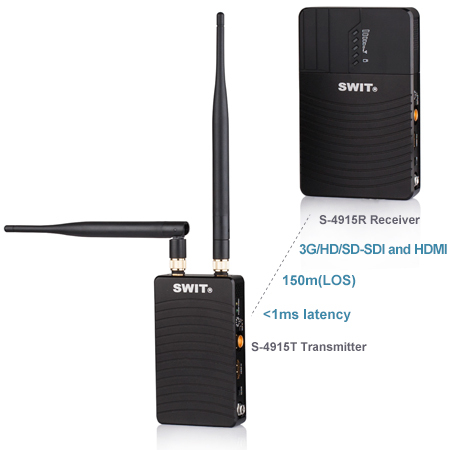 S-4915 is the broadcast industry wireless system, includes an S-4915T transmitter and an S-4915R receiver, with WHDI (OFDM) technology, supports uncompressed 3G/HD/SD-SDI and HDMI wirelessly transmitted in 150 meters scale, and with less than 1ms latency. The system is pure hardware connection, plug and play build-up, which is widely used in on-site shooting and director monitoring. In Line of Sight, the S-4915 wireless transmission system support approx. 150 meters effective transmission distance of uncompressed 3G/HD/SD-SDI and HDMI signal, and the latency is less than 1 millisecond. 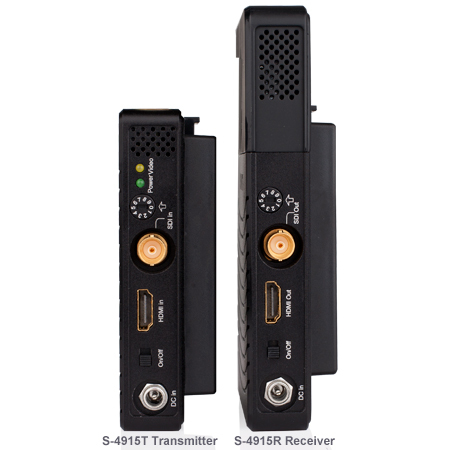 The S-4915 supports SDI and HDMI embedded audio (ch-1 & ch-2) transmission. 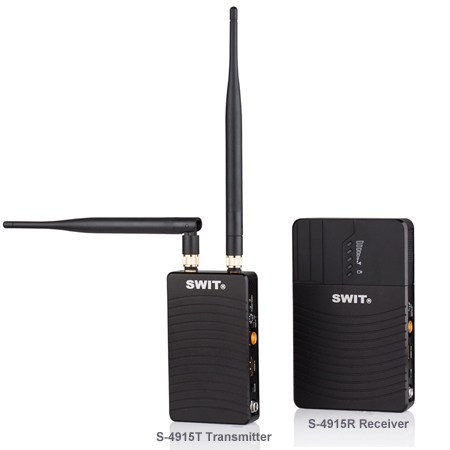 The S-4915 wireless system runs at 5.1-5.9GHz License-free operation frequency. 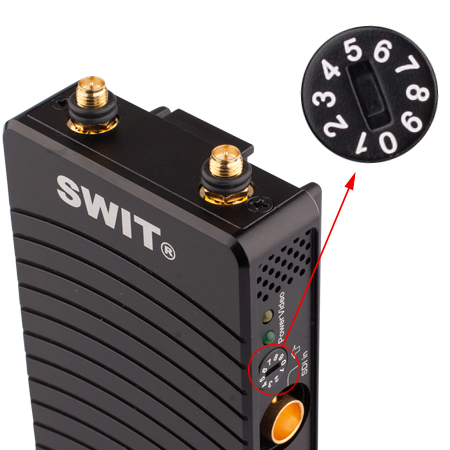 The frequency bands are user configurable and support at most 4 wireless channels in one location.